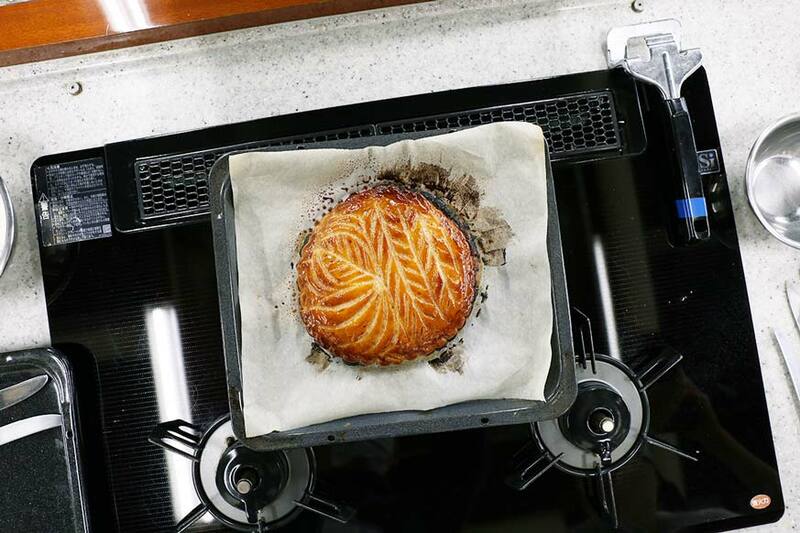 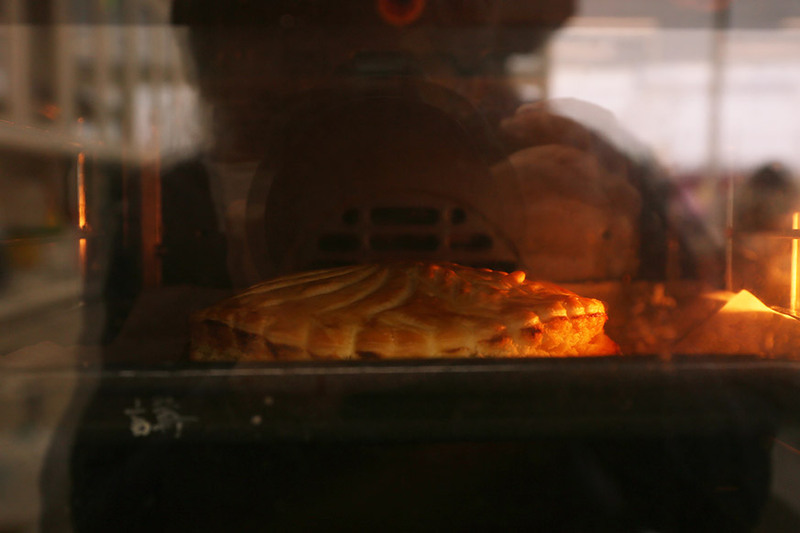 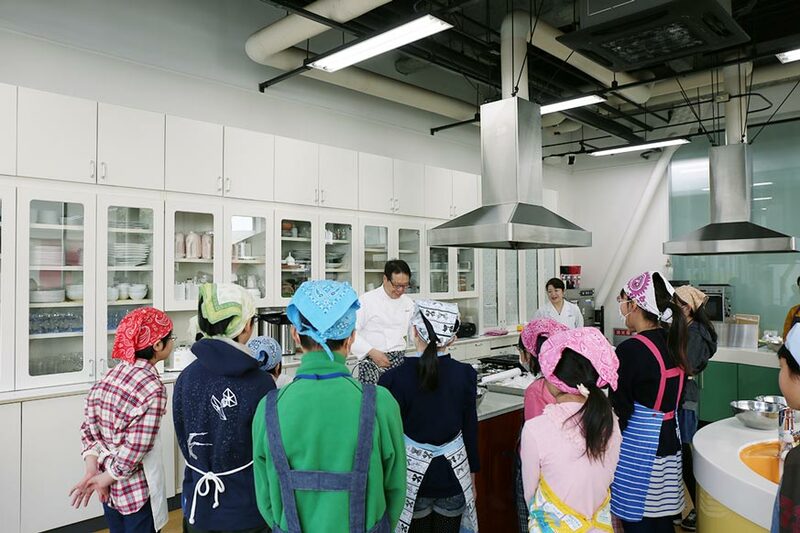 For the second half of the galette des rois workshop, we rented the kitchen in the Gas Salon of Sendai’s Gas Bureau, as we did last year. 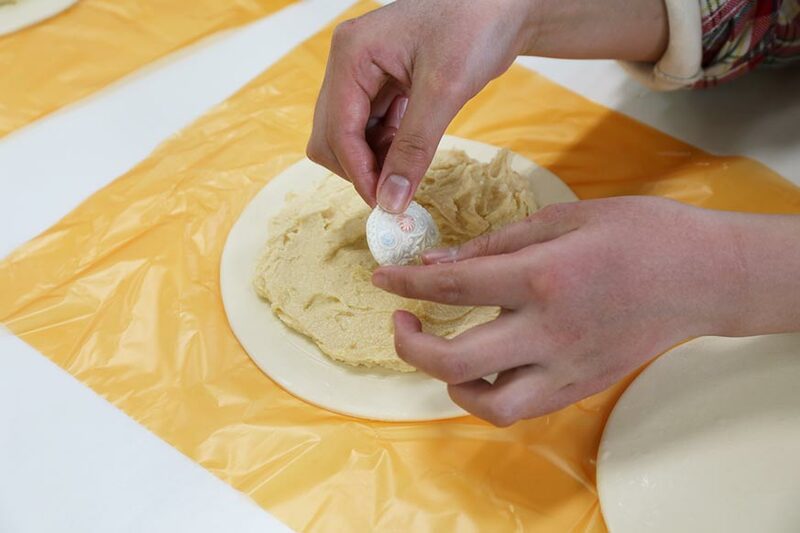 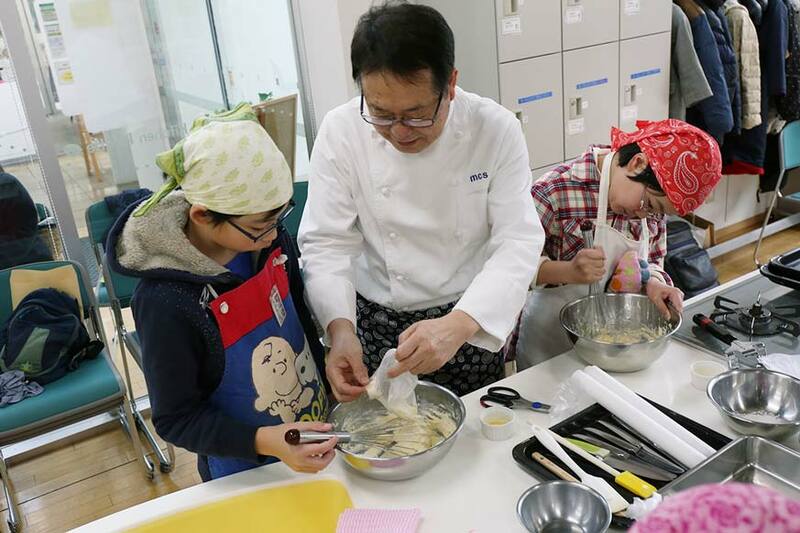 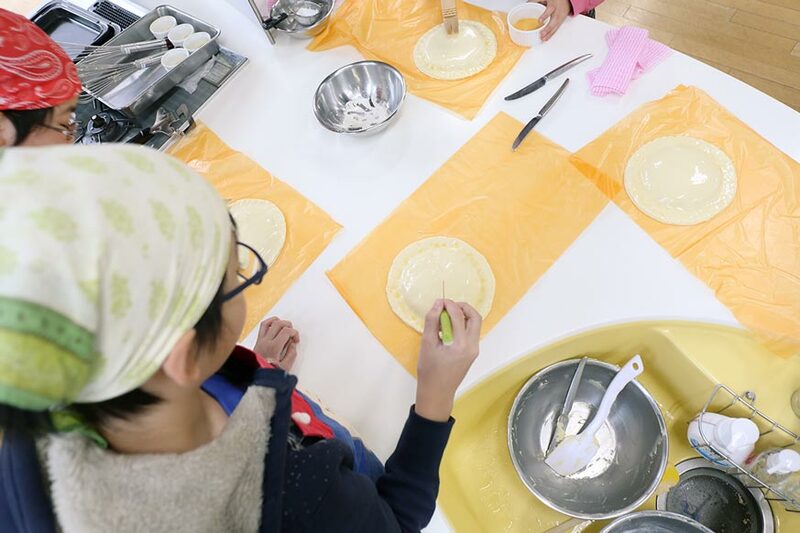 Elementary school students took part in the workshop, where they made galette des rois under the guidance of Mr. Matsusaka of the Matsusaka Cooking School. 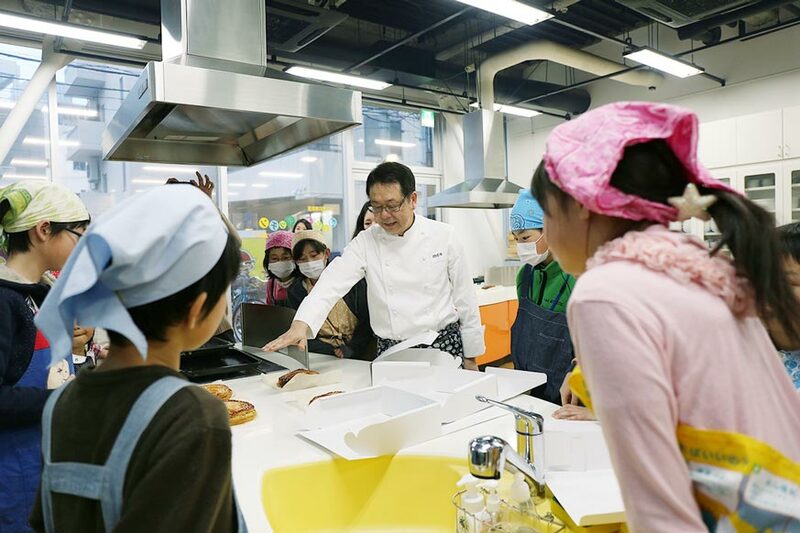 First, the children gathered around Mr. Matsusaka and learned about the general workflow when making galette des rois with an example. 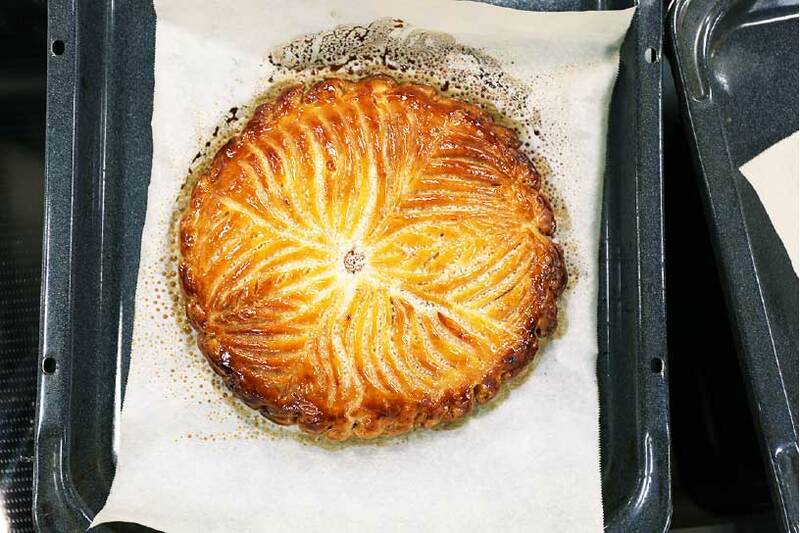 They were then split up into five groups, each of which made their own galette. 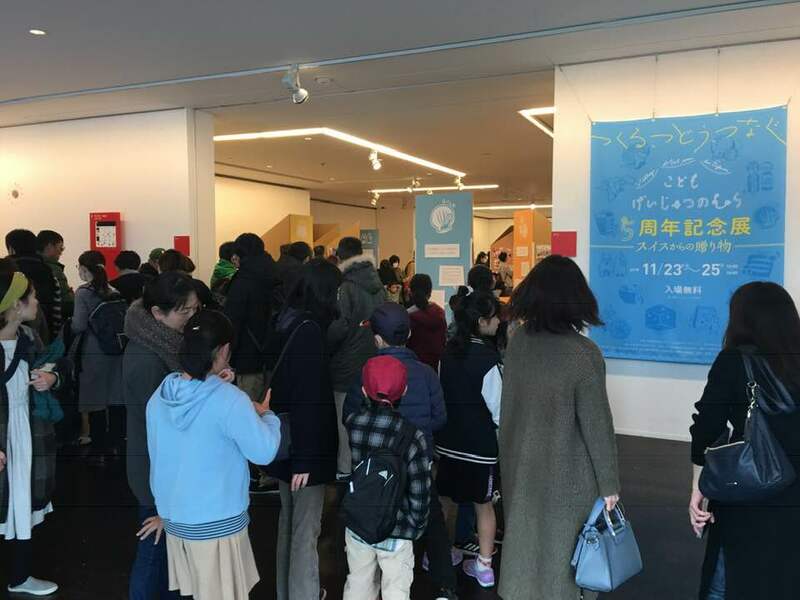 Because we broadened the target by inviting elementary school students starting from the third grade for this year’s edition, some children looked slightly worried. 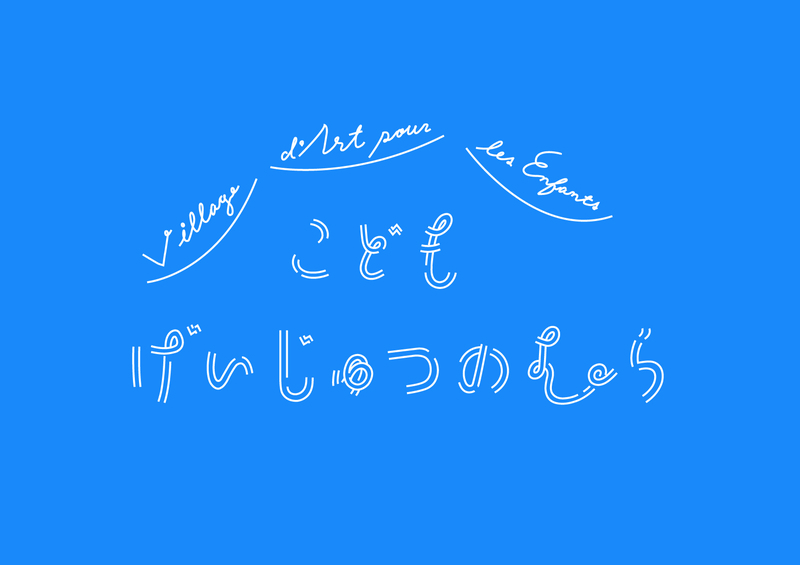 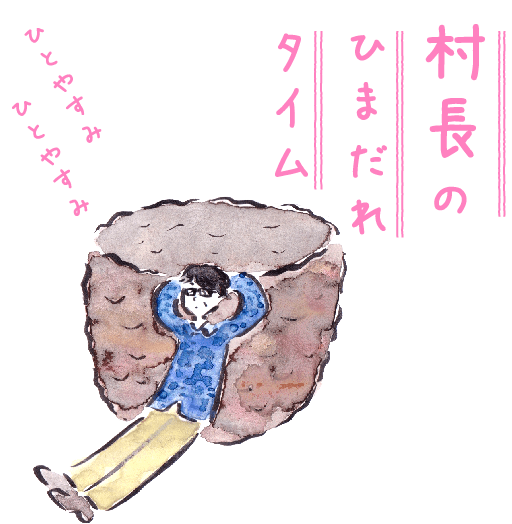 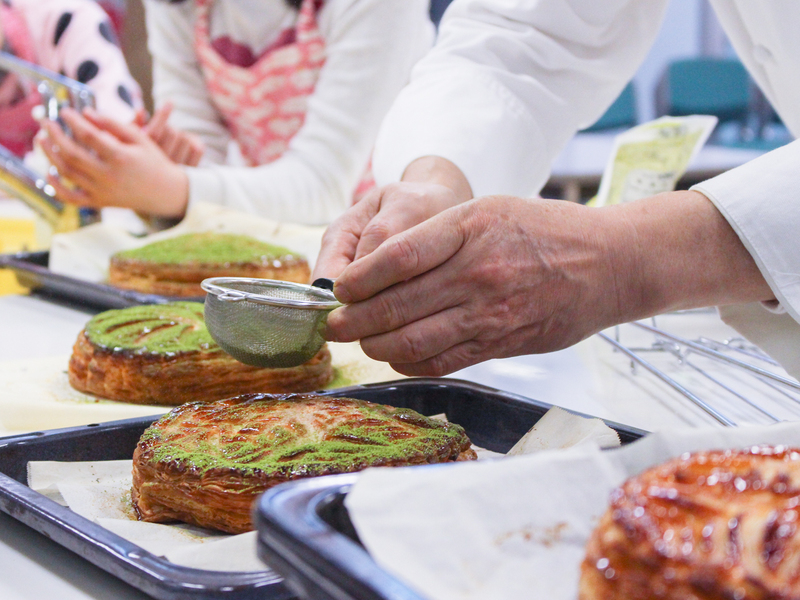 However, thanks to Mr. Matsusaka and the Matsusaka Cooking School’s staff’s help, in the end every participant succeeded in making the specialty of the Art Village for Children—a galette des rois with Matcha tea powder. 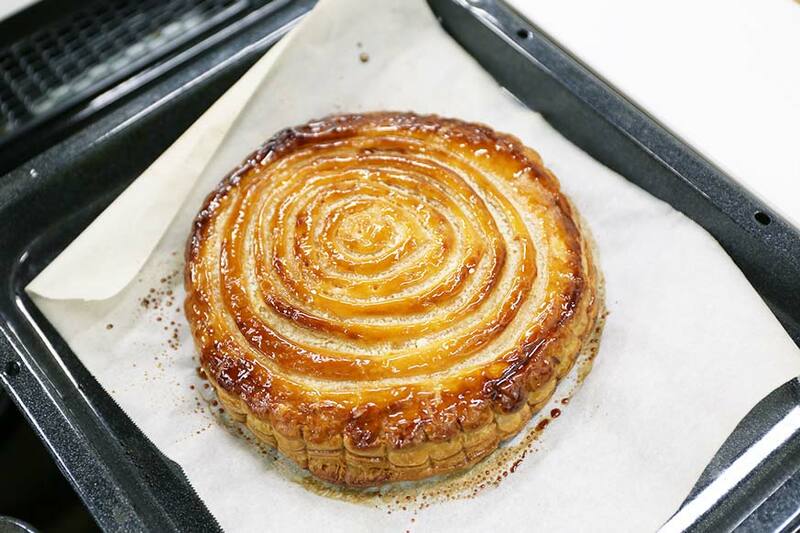 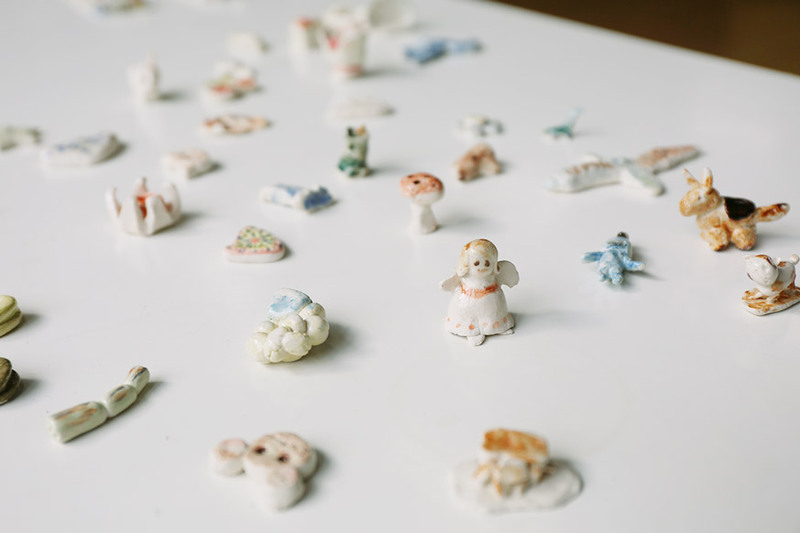 There were also new additions to the workshop in the form of crowns handed out to the participants and the design of the box used for carrying the galette home. 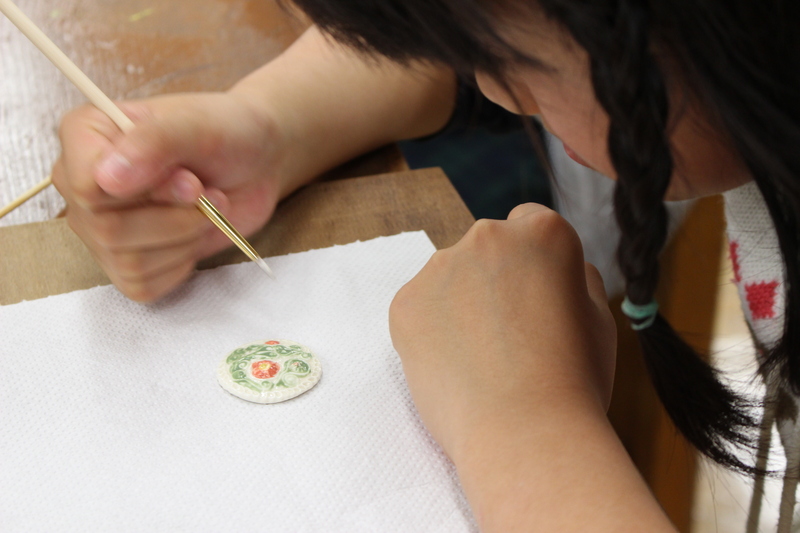 During the workshop, some of the children who had already attended the same workshop once before could be seen helping first timers, while others would take the initiative and wash the tools they were done using. 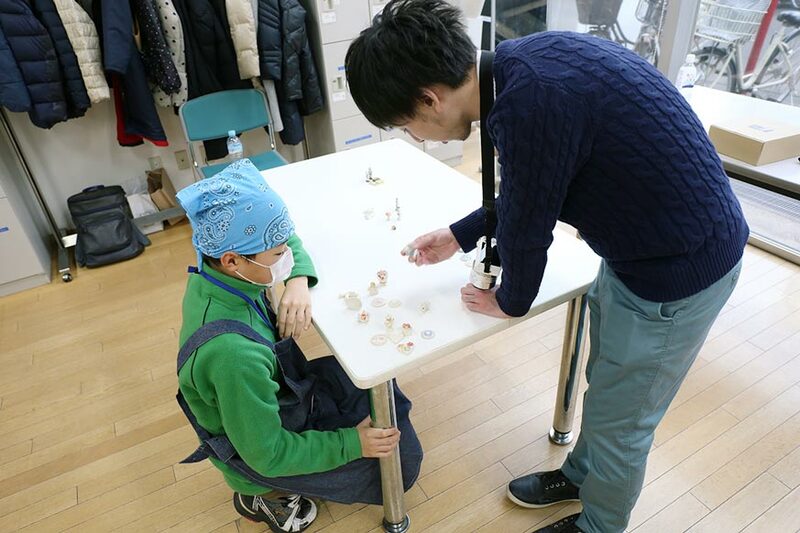 For future workshops, we are considering setting up a system where we can ask children with prior experience for help as assistant teachers.